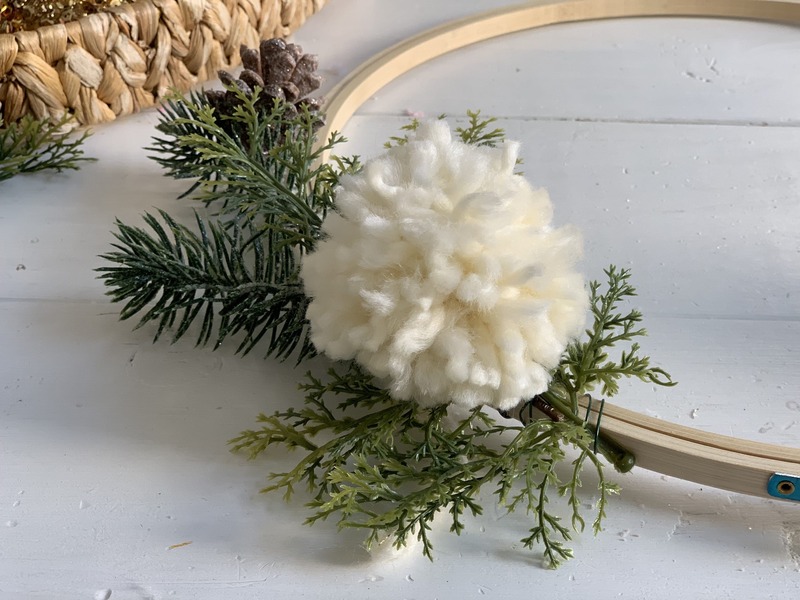 I got some pom pom makers a few weeks ago and they have been the funnest things to make! I learned how to use one at a party hosted by my friend Toni from Design Dazzle and they are a little weird to figure out so I made a quick video to show you how to use it. 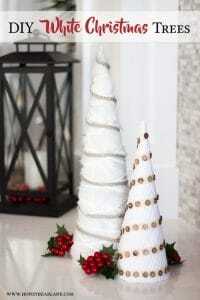 But once you figure it out it really couldn’t be easier and they are such a fun little craft. 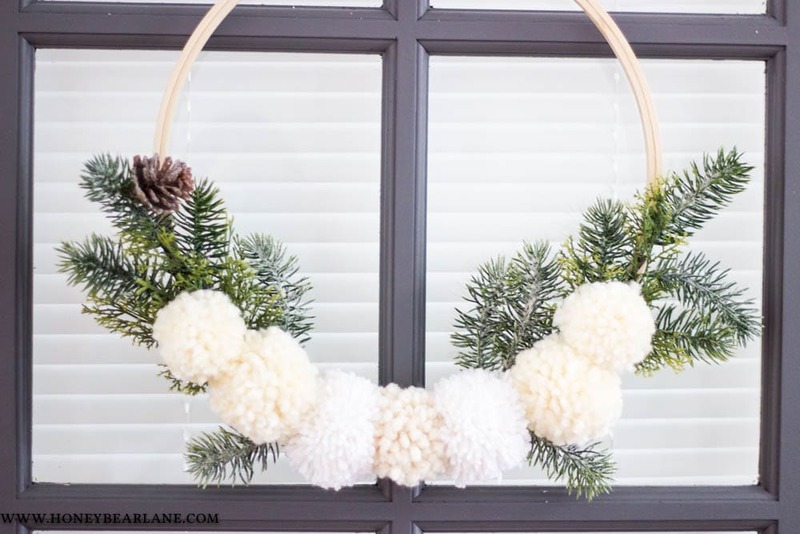 I made this cute and simple pine and pom pom wreath with it! 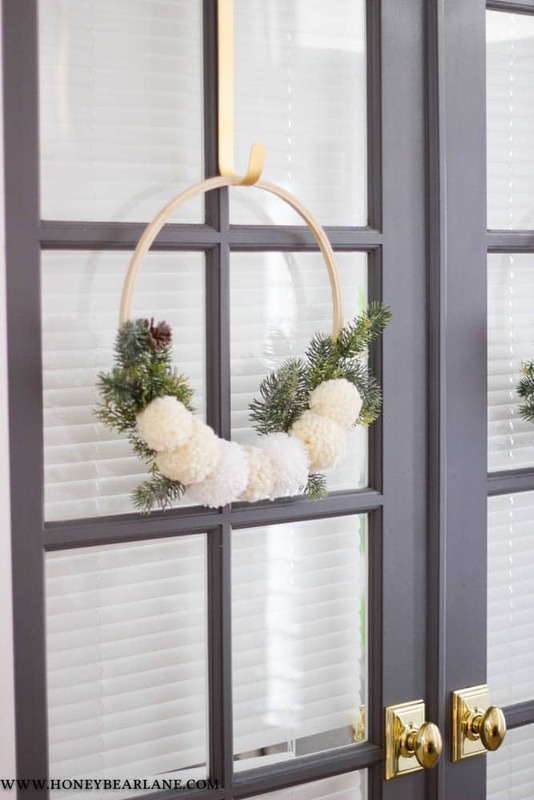 Make the pom poms. I made 5 using the smaller large one (medium?) and 4 using the large size. Here’s my video tutorial on how to do it. 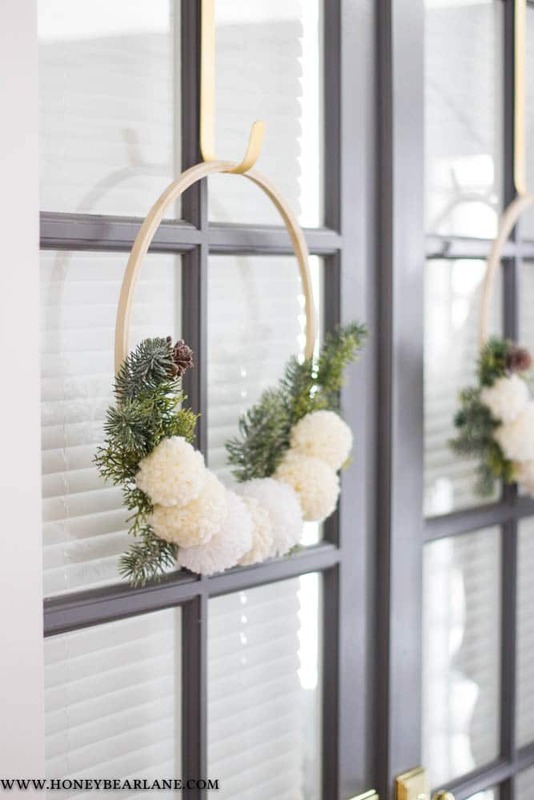 Make sure you tie the pom together with a long enough strand so you can tie it to the wreath. 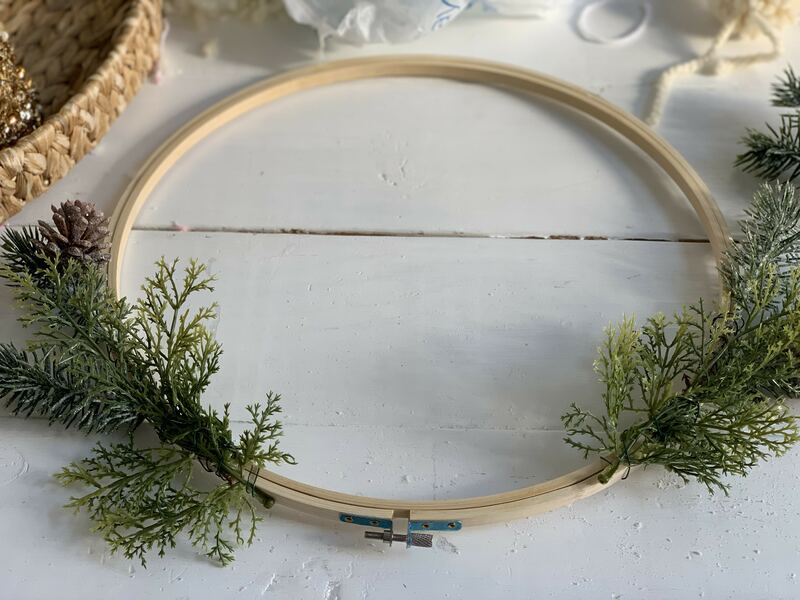 Start wiring your pine pieces to the hoop. 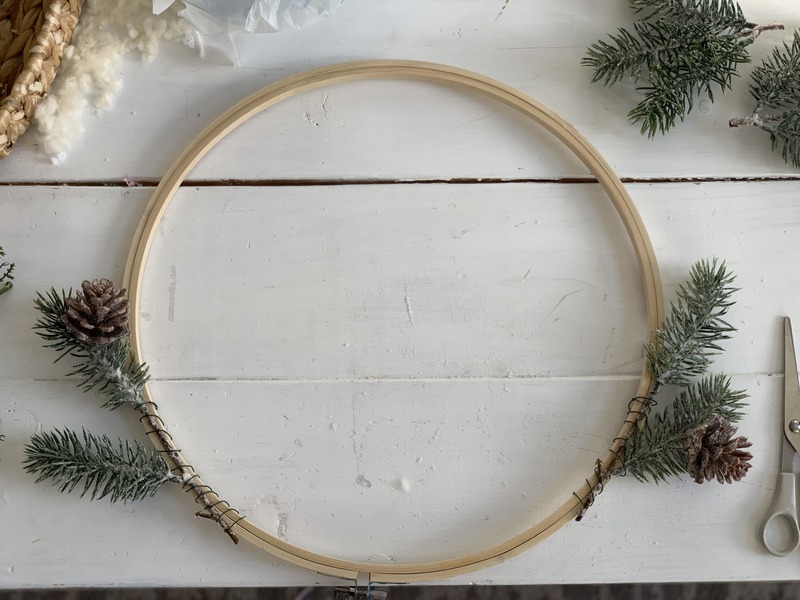 I simply wrap the wire around the pine piece and the hoop and do it on either side. I used two different kinds of greenery for a little more visual interest. I overlapped them to try and hide the wire. 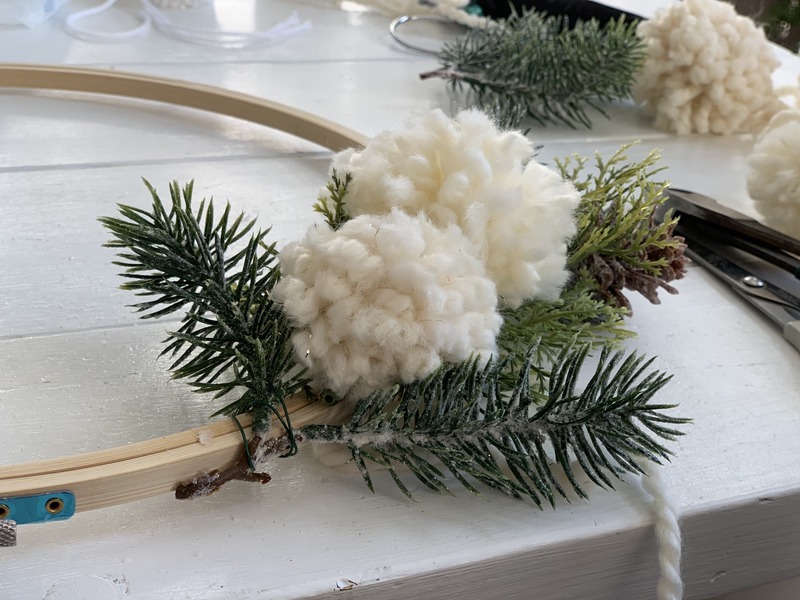 When you’ve gotten this far with the greenery and there’s still some wood space left in between, start tying your pom poms on, doing one on one side and then one on the other and meeting in the middle so you can ensure a more symmetrical wreath. 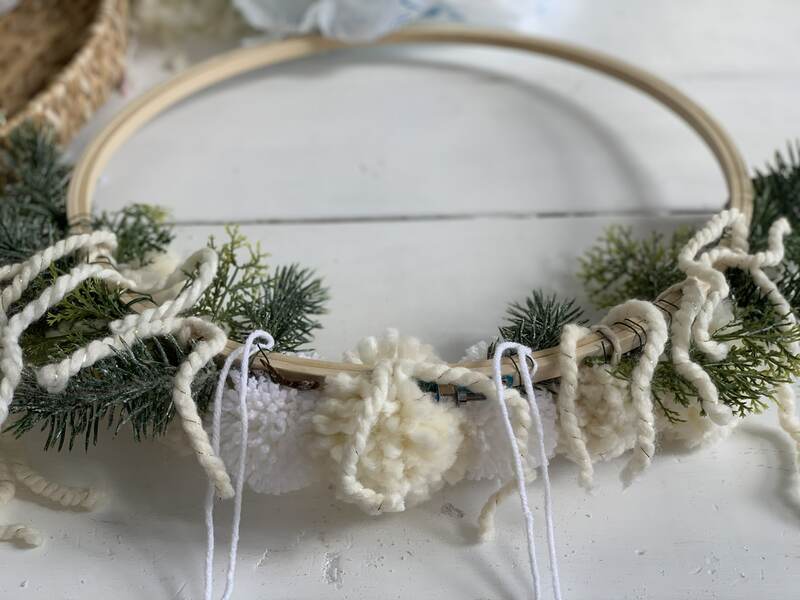 I added a little more greenery below a couple of pom poms to add a little greenery towards the middle. Here’s the back side before I trimmed off the ties. 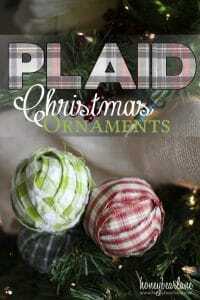 Once you’ve got them all on and tied with double knots, trim the tails off. And that’s it! 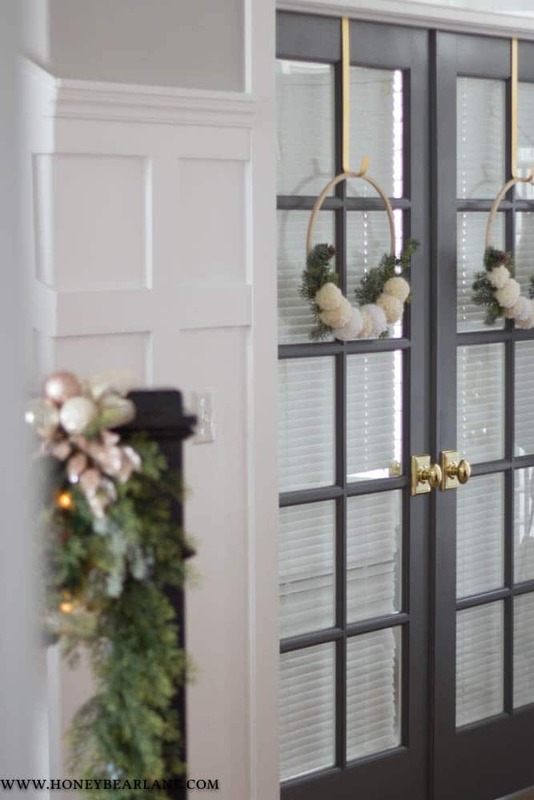 I made two for both of my French doors.